“The town of Telluride, nestled in a box canyon surrounded by 13,000 foot peaks, is filled with colorful legends, over a century of rich history, and Rocky Mountain spirit. The Telluride National Historic District (just six blocks wide and twelve blocks long) is a window into the town’s illustrious past and a showcase of spirited individualism and community pride. Telluride, Colorado is truly a unique place. This town offers an endless array of summer and winter activities, festivals, seasonal special events, and Rocky Mountain adventure. We invite you to join us in Telluride, Colorado, for the 7th World Congress on Wilderness Medicine! We are pleased to be offering this advanced program in conjunction with the International Society of Mountain Medicine (ISMM). Every four years, the Wilderness Medical Society holds a World Congress that attracts those working in wilderness medicine and providing care in challenging areas and extreme environments around the world. This scientific meeting is unsurpassed in bringing together the best minds in the field of wilderness medicine from around the globe. You will not find another conference like the WMS World Congress anywhere, and we hope you will make your plans to attend this one-of-a-kind meeting! Every four years, the Wilderness Medical Society holds a World Congress that attracts those working in wilderness medicine and providing care in challenging areas and extreme environments around the world. This scientific meeting is unsurpassed in bringing together the best minds in the field of wilderness medicine from around the globe. You will not find another conference like the WMS World Congress anywhere, and we hope you will make your plans early to attend this one-of-a-kind meeting. 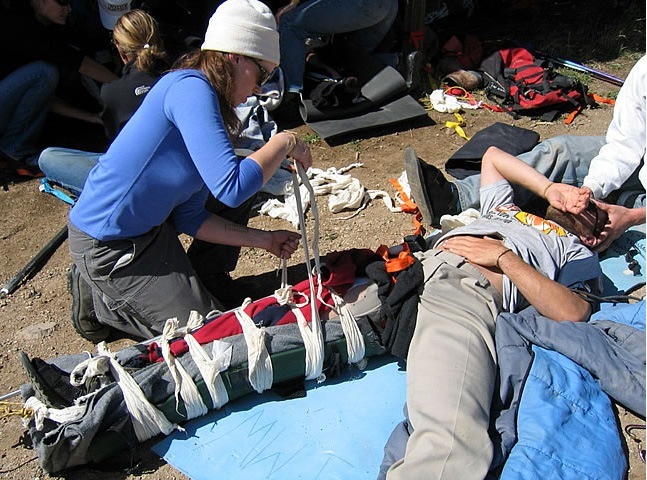 Morning breakout sessions and hands-on workshops will cover topics and skills in wilderness medicine/research; mountain rescue with simulation. Plenary sessions will cover essentials in altitude medicine and physiology; wilderness medicine/research; mountain rescue; and global/environmental medicine. Topics will be presented by world experts in altitude medicine, wilderness medicine, mountain rescue and global/environmental medicine. Topics will include high altitude illness, dive medicine, world perspectives on mountain rescue, wilderness education, austere ultrasound techniques, improvised rescue techniques, disaster medicine, neglected tropical diseases and many, many more. This flexible schedule allows you to have plenty of time for education, recreation and relaxation. To relax, make sure that you experience all that Telluride has to offer in the way of hiking, biking, and climbing. Experience the longest via ferrata in the US, fly fish, take a history of mining tour or simply relax. Nightly speakers will offer exciting lectures that will ignite the adventurer with in us all. One banquet ticket for the evening of Tuesday, August 2nd is included in your registration. You may purchase additional tickets for your family and friends. Please join us in Telluride, Colorado, USA, July 30th – August 4th, 2016. Accreditation: The Wilderness Medical Society (WMS) is accredited by the Accreditation Council for Continuing Medical Education to provide continuing medical education for physicians. The WMS designates this educational activity for a maximum of 27 AMA PRA Category 1 Credits™. Each physician should only claim credit commensurate with the extent of their participation in the activity. American College of Emergency Physicians: Approved by the American College of Emergency Physicians for a maximum of 42 hour(s) of ACEP Category I credit. Family Physicians: Credits have been applied for. Other Professionals: Check with your governing entity to determine usefulness of AMA PRA Category 1 Credits™. Faculty Disclosure: It is the policy of the Wilderness Medical Society to disclose real or apparent conflicts of interest of faculty members related to the content of their presentation to participants to help the participants form their own judgment about the presentation. Target Audience: Physicians and other medical professionals who engage in wilderness activities, who counsel individuals who take part in such activities, or who are likely to encounter illness or injury in remote or resource-limited settings.